The Band’s Visit was an interesting couple of hours to say the least. It’s about the Egyptian Police Orchestra who is travelling to Israel to play at a concert in the city of Petah Tikvah, but language barriers and confusion mean they end up in the much smaller town of Bet Hatikva (it’s easy to see how anyone could get them confused). They’re stranded overnight and we follow their stories for the evening. The band is hesitant to stay in the town. They only have until the following evening to get to their intended destination, but Dina (Katrina Lenk), the towns café owner offers them a place to rest. She has a dry sense of humour and is a woman of few words. It’s clear she’s lonely and misses being around other people. We meet a few more of the small population of this desert town during the course of the show, including ‘the telephone guy’ (Adam Kantor), who waits by the town telephone for the duration of the play for his girlfriend to call him. As an audience, we sort of assume she’s just in his head and doesn’t actually exist, but it shows quite how isolated these people are. We also feel the underlying Arab-Israeli tension, but it never plays a major role within the story, which is something the writer, Itamar Moses, made clear he wanted. That underlying tension and subtlety is the wonderful thing about this show. It’s not about big musical numbers and exaggerated personalities, it’s about the most simple of human qualities; kindness, hospitality and compassion in times of need. Not all of The Band are really involved in the story. Many of them just play their instruments from the edges of the stage. They’re top quality musicians and the addition of their playing adds a warmth to the atmosphere. There is no denying their talent and musicianship. I do think, however, seeing the words ‘A New Musical’ outside the theatre give off the wrong impression. It’s more like ‘a Play with Music’. The cast’s voices are good, but not outstanding. The score is beautiful, but their acting is more commendable than their singing. Sure, they can all hold a tune and produce good harmonies as a company, but at no point in the show are you blown away by the sound. Maybe the lack of any ‘big money notes’ doesn’t help. On that note, though, their acting is outstanding. Considering the narrative is simple, you become hooked to these people and their stories. The characters are enchanting and feel entirely human. Having researched the actors, a lot of them explain that it’s a first for them to actually be playing characters of their real origin. There’s an authenticity to the show because all the actors playing Middle Eastern characters, are actually Middle Eastern. One of the actors, even said in an interview that he’s spent years trying to hide the fact that he’s Middle Eastern for jobs in this industry. I still can’t work out exactly what I think of this show. You can’t quite put your finger on why you enjoy it. You’re watching two people who don’t know each other have a drink, a family joined by a stranger sat around a dinner table, a woman making coffee for a stranger. It’s a minimalist story, and during the scenes, it’s completely natural in every sense. It’s all about connections between people. It strips everything back and reminds you that whatever conflict may have gone on in the past, people can pull together in times of need. 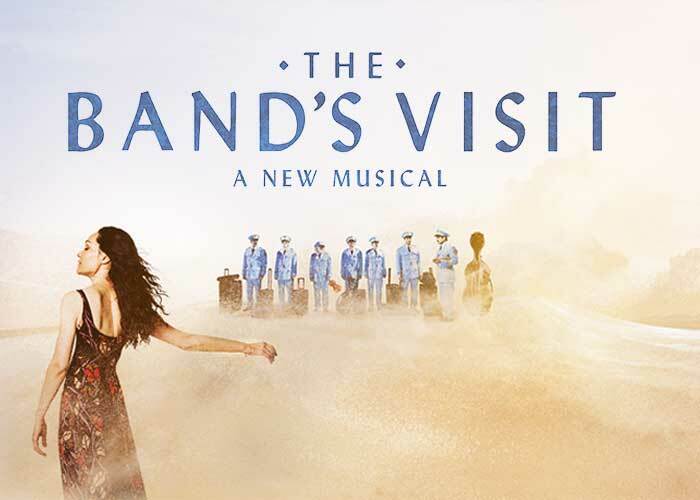 The Band’s Visit won 10 Tony Awards, including Best Musical and is this season’s most critically acclaimed show. It’s on at the Ethel Barrymore Theatre.